Here's the UMCOR website if you'd like to learn more. Sometimes we assemble "kits" that address various needs. These kits are sent to an UMCOR warehouse until needed. When next you here the call to prepare a particular type of kit (or you'd like to do so on your own initiative), here are instructions for the kits (contents, how to pack, instruction videos); kit contents are quite specific, and we are asked not to improvise. UMCOR stands alongside first-rank relief organizations such as the American Red Cross. UMCOR's work often makes us happy that we are United Methodists! 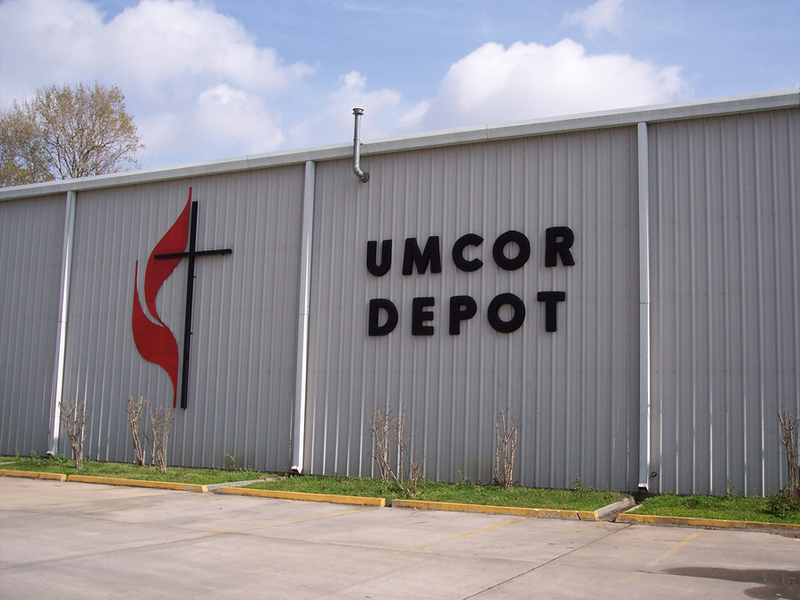 UMCOR is often one of the agencies which are the early responders at the site of a natural or man-made disaster, and one of the last to leave. We seek to address the physical, emotional, and spiritual needs of those impacted. UMCOR also seeks to address chronic situations, such as disease, drought and famine, and hunger. How does UMCOR ensure that 100% of our gifts go to meet the need? Once a year, there is a special offering, "One Great Hour of Sharing," with its proceeds directed toward paying the administrative costs of the ministry. The offering is usually received in March if you want to help.